Jonathan Shapiro is the author of two new books, the novel Deadly Force, the first in a trilogy featuring federal prosecutor Lizzie Scott, and the nonfiction work Lawyers, Liars, and the Art of Storytelling. A television writer and producer, he also works of counsel as a trial attorney at the firm Kirkland & Ellis and is a former federal prosecutor and adjunct law professor. Q: How did you come up with the character Lizzie Scott? A: I used to be contributing editor for The Ring magazine (“The Bible of Boxing'). The first woman I watched spar against a man had such confidence, grace, and muscular femininity that I never forgot her (hence Lizzie’s fistic ability). When I was a federal prosecutor, I worked with a number of women law enforcement agents and prosecutors who exhibited Lizzie’s strength and courage, even in the face of personal and professional obstacles. Lizzie is a combination of all those women. Q: The novel deals with police violence, a topic that’s very much in the news. What do you think readers can take away from the issues you raise in the novel? A: I want readers to come away from the novel realizing it is nearly impossible to convict even the most guilty police officers of using excessive force. I also want them to realize that economics, even more than race, determines if you are going to be a victim of police abuse or not. Finally, I want them to understand the reality of a high-profile trial, and why justice is often not the outcome. 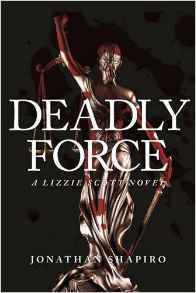 Q: Deadly Force is the first in a trilogy. Where are you in the writing process with the other two? A: I’m about to finish the second novel, The Zealot Killer, about a federal hate crime murder case and the conflict between law and faith in the American justice system. 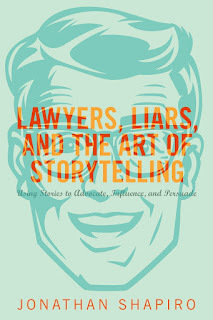 Q: You’ve also written a nonfiction book about storytelling and lawyers, in which you write, “The more I thought about it, the more I realized that storytelling applies to everything a lawyer does.” How has that held true in your own experience as a lawyer, writer, and producer? 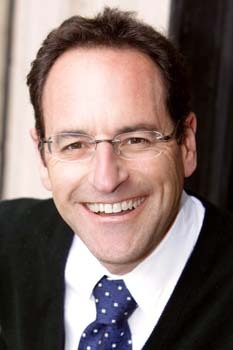 A: Lawyers and writers build their careers and cases with the same materials. The lawyer calls them clients, facts, and the law. The writer calls them characters, narrative and technique or convention. Both the lawyer and the writer use the same tools to fashion their material into a cogent, persuasive whole built on ethos, logos and pathos. And their goal is the same: to elicit a response, to touch the mind and heart of the judge, or jury, or reader, or viewer in order to persuade them to believe, to understand. Abraham Lincoln was a great lawyer and writer because he was a great storyteller. 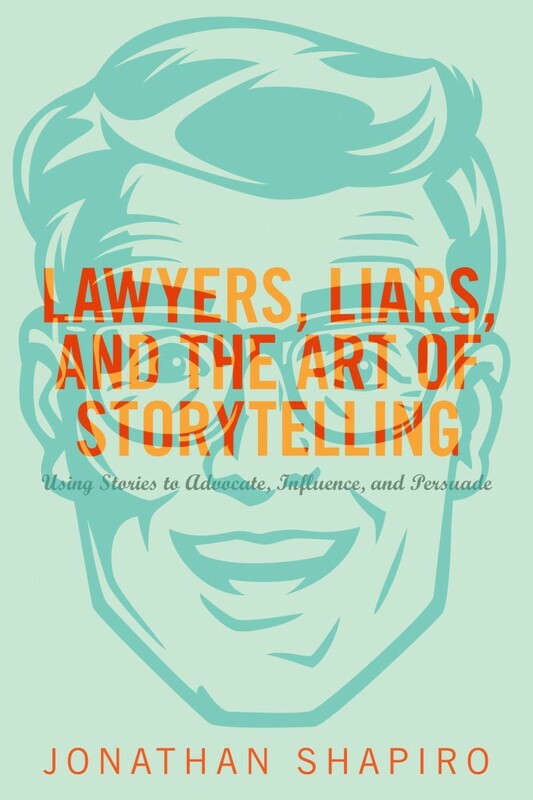 Q: You also write, “The remarkable thing is how few lawyers seem to realize they are supposed to be storytellers at all.” Why do you think that is? A: Law school bleaches the storytelling ability right out of most lawyers. Blame the American obsession with scientific method, the desire to turn everything into a mechanical, uniform, testable process. Q: You mentioned the second Lizzie Scott book. What else are you working on now? A: David E. Kelley and I are adapting Deadly Force into a television series which we hope to place at a network in the next month or so. Goliath premieres Oct. 14, 2016, on Amazon Prime and we’re hoping for a second season (so please watch!). It stars Billy Bob Thornton, William Hurt, Molly Parker and Maria Bello and it’s about law in the 21st century and what perpetual war means to our system of justice. A: I believe in God. I even know He looks like Walter Huston in The Treasure of the Sierra Madre. When we die, He meets us in Heaven having read all our writings. And reviews our work. It turns out, He is a huge fan. He not only likes what we’ve written, He understands exactly what we were going for. It’s a nice way to close things out.